Blocs lets you easily add modals (more commonly known as pop-ups) to your web pages using the dedicated Modal Bric in conjunction with the Modal interaction. 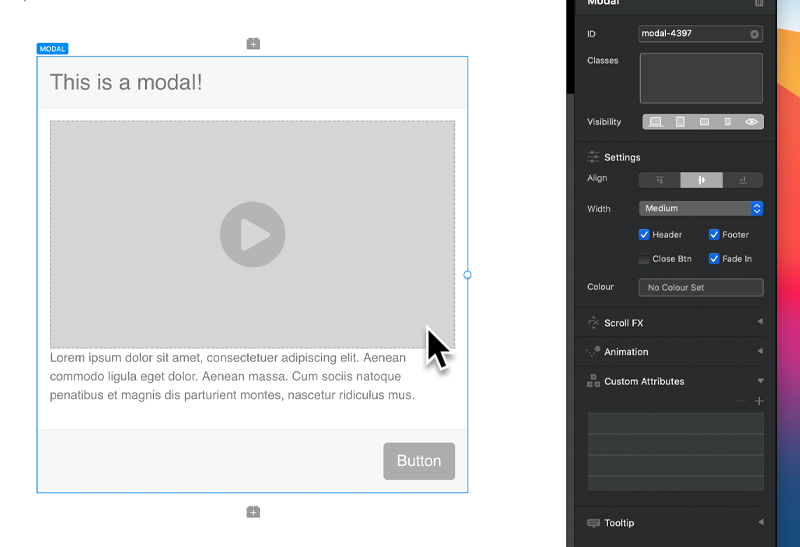 A modal within Blocs can be customised and have any type of content added to it, Blocs gives you complete control over its visual appearance and the content that is displayed within it. To set up a modal, first add a modal Bric to the page and take care to make sure it has an ID applied. 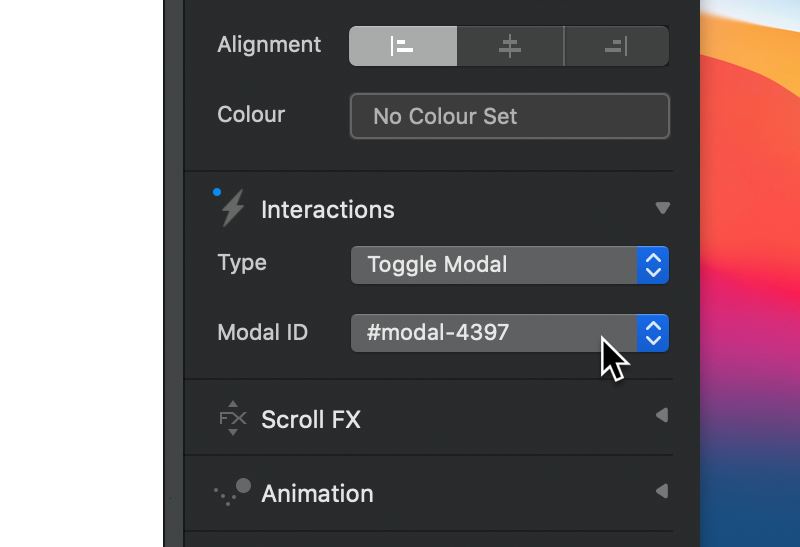 Now select a button, link, icon or image and set its interaction to Modal and locate the target Modals ID in the second dropdown below the interaction one. Make sure the trigger element is not within the modal itself. When you enter preview mode, the modal will be automatically hidden by default, but will respond and become visible if the object that has the modal interaction assigned to it is clicked.